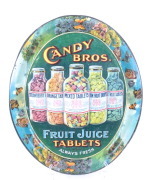 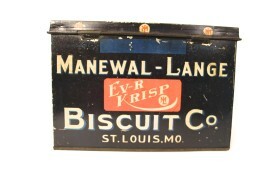 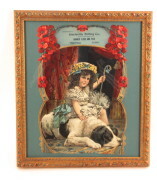 Circa 1920 Dan-D-Bakery Metal Biscuit Box. 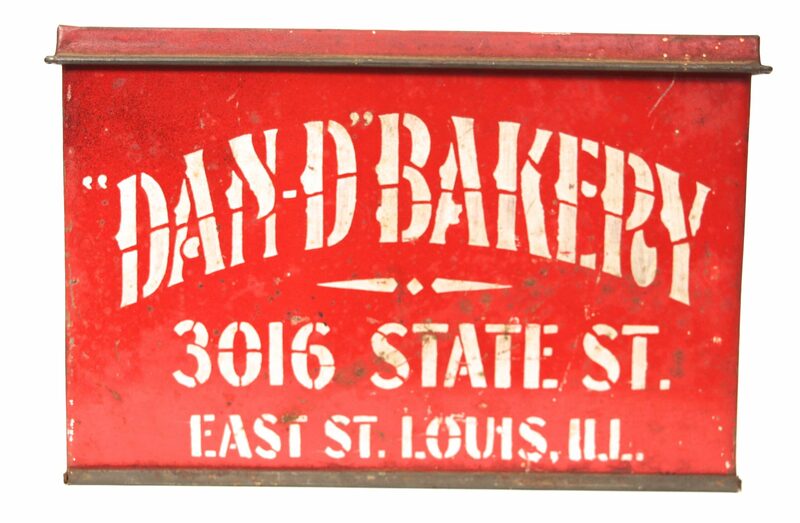 The Dan-D-Bakery was based in East St. Louis, Illinois, just across the river from St.Louis, MO. 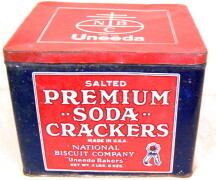 I have not seen any advertising items from the Dan-D-Bakery other than the tin boxes and one other hexagonal glass biscuit case which was used as a point of purchase shelf display. 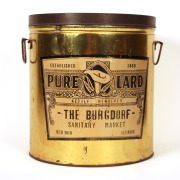 I cannot find any information on this company on the internet, so hopefully a reader will know more and can share their insight.